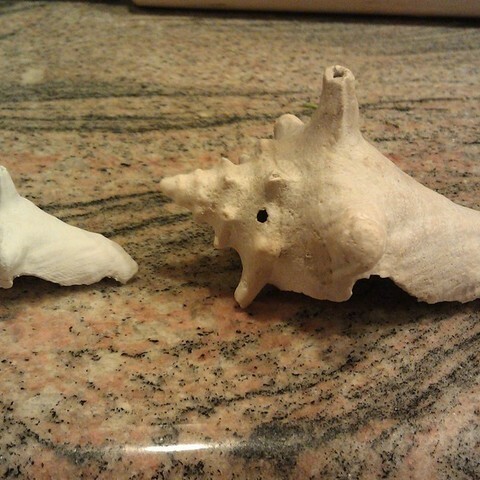 A 3D scan and print of a shell that my wife and I found on the beach while on vacation a few years back. 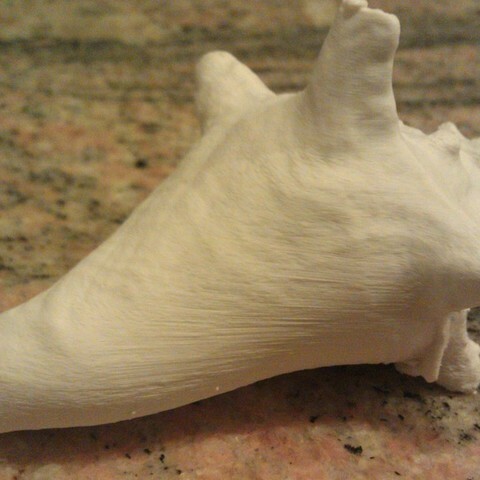 This is my first attempt at 3D scanning. Scanned using David3 software with a structured light setup. The shell was laid with the opening facing down on a turntable and rotated. I didn't try to scan the bottom, so the software just made its best guess at what the bottom should look like. 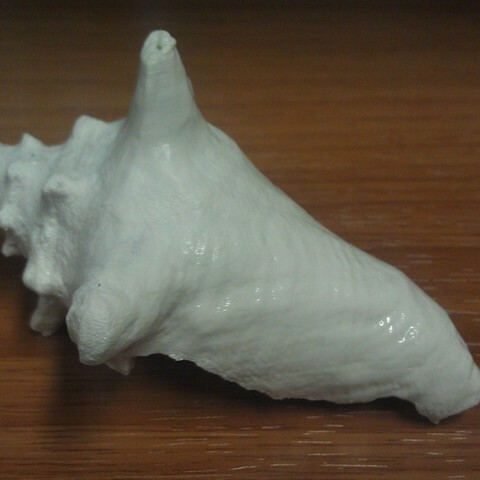 3/11/13 Update- I've been playing around with vapor polishing using acetone vapor and tried it out on this shell. It turned out pretty well. ~8 minutes in a glass jar with a tablespoon of acetone at 100C. Use caution if you try this. Gloves, ventilation, safety enclosure etc. Scale and print as you see fit. I also included a 200 micron version I printed out for my 3 year old daughter. 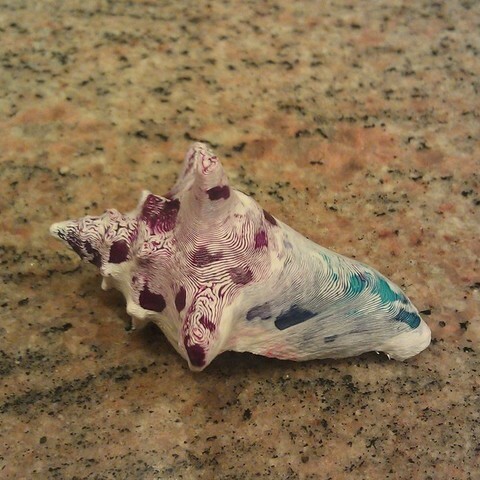 As she does with anything that we allow her to, she painted it with her watercolors. I think it yielded a pretty cool effect.